Celestron Advanced VX 8 SCT computerized telescope uses the most famous 8-inch Schmidt-Cassegrain in the world, the C8, that is one of the most used telescopes from generations of amateur astronomers and is one of the Celestron’s most beloved telescope. Now beginner to intermediate astroimagers can have their own C8, upgraded with StarBright XLT coatings for maximum light transmission, at an extremely affordable price. Do you want more? 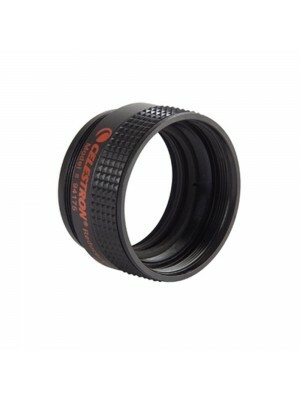 Discover how to how to improve Celestron Advanced VX 8 SCT computerized telescope with our PrimaLuceLab accessories. In the picture below, we installed our OnAxisLock for SC eyepiece holder (that adds 50,8mm connection to the telescope) and EAGLE control unit that makes the telescope easier to use and to transport. Everything is powered by the compact ALL NIGHT 20A battery.